The Teen After School Program provides teens with a safe and nurturing environment where they can develop healthy relationships and learn foundational skills through the Y core values of honesty, caring, respect and responsibility. Come join us daily for great activities focused on leadership, teamwork, individual growth, and healthy lifestyles. We also offer academic assistance and plenty of free time for your teen to relax in a safe and fun environment. Indoor and outdoor activities, field trips, and service learning are all a part of the regular schedule. Transportation is provided for as many participants as possible and is limited based on capacity. Financial aid is also available to qualifying applicants. For more information, please contact Kim Franzon, Teen After School Program Coordinator, at kfranzon@annarborymca.org or 734.661.8021. Provide a safe environment with caring adults The Teen After School Program is staffed with caring, trained and qualified adults. Staff are trained in the policies and procedures of the Ann Arbor Y and are instructed in caring for the well-being of all participants. Promote character development The Ann Arbor Y Character Development program plays an intricate part of every Y program. The core vales: caring, honesty, respect and responsibility are modeled by staff and encouraged within all participants. Develop personal discipline and time management skills The Teen After School Program fosters responsible behavior and self– management by creating an environment in which activities are presented, but not dictated, and in which guidance is offered to promote self-confidence and youth empowerment. Teen Center rules, activities and curriculum are created with a collaborative effort of both participants and staff. Time management skills are exercised through planning and delegation of time by each participant. Provide social development and emotional well-being Achievement, Relationships and Belonging are three areas of focus that Teen Center Staff are intentional about providing. Participants are provided the opportunity to socialize freely, participate in planned activities and partake in service-learning projects to further community engagement. Age-appropriate activities are available daily and determined by teens’ interest and direction for program. Staff works directly withparticipants to create curriculum and provide activities for all. Welcome, Snack & Attendance – Participants will be welcomed each day to the teen center with announcements, warm-up activity and a healthy light snack. Health & Wellness – Participants will be encouraged to engage in 30 minutes of movement each day. Options and activities will vary daily with access to studios, gymnasium, pool, track, equipment, outdoor games and more Academic Support – A designated homework time and rea with academic support from staff will be provided on a daily basis. Resources are available to complete homework, such as computer time, printer and various other needs upon request. Please notify Teen Center Staff in advance should your teen need additional resources Global Learning – Participants will learn about global issues as they become champions of diversity, inclusion and global engagement. Leadership – The Ann Arbor YMCA is committed to ensuring passionate cause-driven leaders of the future. Participants will gain leadership skills to help individuals grow and achieve their greatest potential. Enrichment – Participants choose, create, and participate in club options on either a weekly or monthly basis contingent upon TASP participants and staff planning. 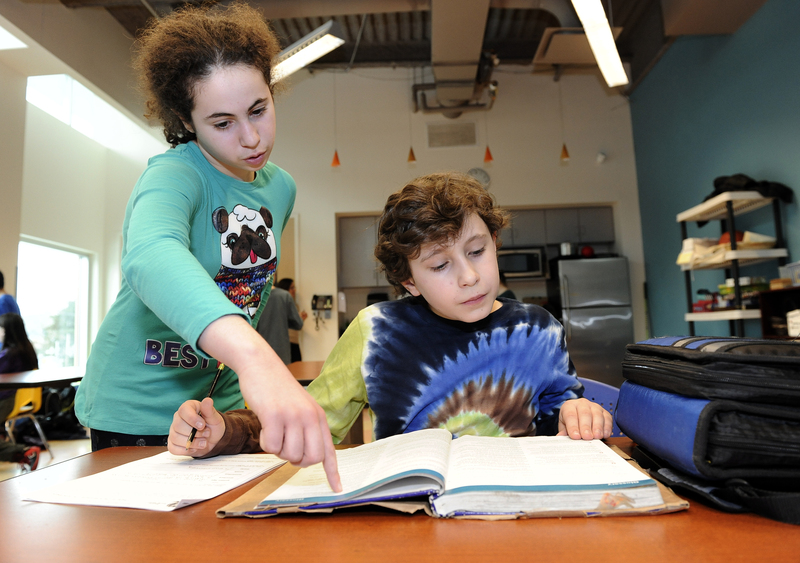 All teen programs at the Ann Arbor Y incorporate as many Developmental Assets as possible. We believe that the more Developmental Assets we can introduce and contribute to the lives of youth, the more successful and happy they will be. According to the latest research, a young person requires 31 of the 40 assets to grow into a healthy, caring and responsible adult. We take this research very seriously and do our best to introduce elements into each program. Encourage healthy lifestyles Healthy snacks and the opportunity to engage in some form of physical exercise are provided in the Teen After School Program through daily access to studios, gymnasium, pool, track, equipment, games and more. Each day participants are provided a healthy snack upon arrival. The Ann Arbor Y is dedicated to providing safe and productive environments for teens that promote participants to lead with empathy, build healthy relationships, effectively manage emotions, take responsibility for actions, and develop personal skills for success. All teen programs encourage interactive participation, hands-on learning experiences, character exploration, and active citizenship. With the rising use of cell phones and other electronic devices and commitment to Healthy Eating and Physical Activity (HEPA) standards, the Ann Arbor Y Teen Programs prohibit the use of personal electronic devices during all program hours. All personal electronic devices should be tucked away into backpacks, pockets, or in the possession of Y staff. Permission to utilize electronic devices may be granted by program lead and on an individual needs basis to enhance program experience. Ann Arbor Y staff will temporarily confiscate cell phone or other electronic device should participants not be able to adhere to Teen Program Cell Phone and Personal Electronic Device Policy.